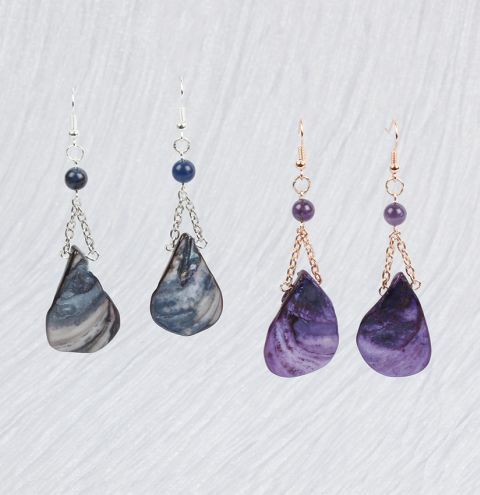 Make a gorgeous pair of earrings with NEW shell beads and matching gemstone beads to complement the unique shell markings. See more 6mm gemstone beads. Thread an eyepin through a shell bead and create a loop at the end. Cut a piece of chain approx. 13 inches long and attach either end to each loop. Thread an eyepin through a semi-precious bead and make a loop at the end. Attach one loop to the middle of the chain, on the centre link. Attach the other loop to a jumpring and connect the jumpring to an earwire.